Start making pop up cards! 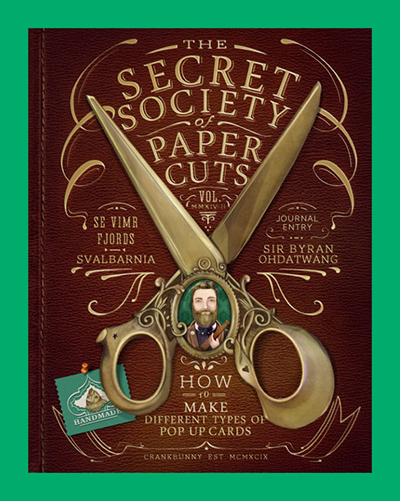 The Secret Society of Paper Cuts ( SSoPC ) is an imaginary group of people who explore the world while documenting paper craft techniques. Create several unique pop up cards. Learn easily the fundamentals of paper engineering. Make simple to complex pop up paper structures. See and translate simple pop up structures to creative ideas. This paper craft book includes four How-To projects with templates with other additional free templates printable online. PDF is printable version of the book. Zip file contains 7 additional templates to book examples. Book is 28 pages, full color. 8.5 x 11" magazine format.